The new financial services platform is underpinned by blockchain technologies. 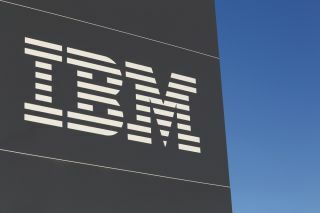 IBM and CLS have partnered with a number of banks to launch a new financial services platform powered by blockchain technologies. The tech giant recently revealed that a proof-of-concept design has been created for the new platform called LedgerConnect. Enterprise financial services companies such as banks, FinTechs and software vendors are the intended audience for the system which is a distributed ledger technology (DLT) platform. The aim of LedgerConnect is to bring a wide range of financial services companies together to deploy, share and use blockchain-based services hosted on the network. This will make it more cost effective for businesses to adopt the new technology and will also make it easier to access and to deploy. Interest in the platform appears to be quite strong and nine financial institutions including Barclays and Citi have already signed on. LedgerConnect is based on the IBM Blockchain Platform and Hyperledger Fabric and the network is privately permissioned to ensure high levels of security. If the platform proves to be a success, IBM has said that it may offer support for other ledger technologies in the future.